HRC is highlighting the anti-LGBTQ records of Vice President Mike Pence and Wisconsin Governor Scott Walker, who are scheduled to campaign together today in Eau Claire. 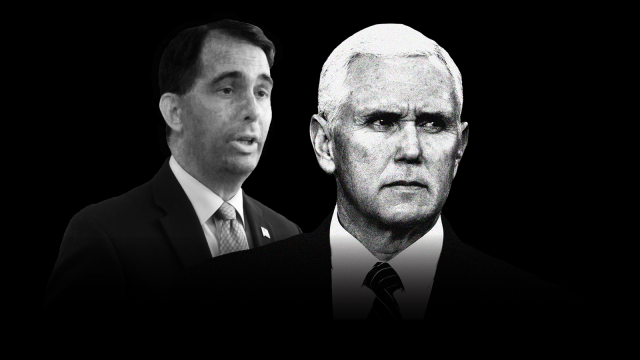 With deeply disturbing records undermining equality and peddling extremist ideologies, Pence and Walker both have made virulent anti-LGBTQ activism a cornerstone of their political careers, and remain out of touch with a majority of Wisconsin voters, who overwhelmingly support LGBTQ equality. Long history of opposing marriage equality: Walker supported Wisconsin’s constitutional amendment banning marriage equality, vetoed a bill to give domestic partner benefits to workers and tried to kill a domestic partner registry. While in Congress, Pence proposed a constitutional amendment that would have imposed a federal ban on marriage in every state. Support banning qualified transgender people from serving in the military: Pence is a lead architect of the effort to ban transgender troops, has rallied anti-equality leaders to support it and, with his staff, lobbied Congress to pass an amendment banning transition-related care for transgender servicemembers. Walker has said he “wouldn’t change” the Trump-Pence ban on transgender service members. Support a license to discriminate against LGBTQ people: In 2015, Pence’s bigotry received national attention when he signed a bill that could have given businesses, organizations, and individuals a license to discriminate against LGBTQ people in employment, housing, education, and health care, as well as in access to services almost anywhere in the public square. Though the effort prompted widespread condemnation from both sides of the political aisle, Walker expressed support for the “principle” of Pence’s attempt to legalize discrimination. Long history of opposing access to affordable health care: During his time in Congress, Pence was a leading voice opposing passage of the Affordable Care Act (ACA) and voted to repeal the ACA —also known as Obamacare— in part or in full, more than 30 times. He also signed one of the nation’s most restrictive anti-abortion laws which was later blocked by a federal judge and in 2017, he cast a tie-breaking vote to strip protections for reproductive health care. As governor, Walker rejected Medicaid expansion under Obamacare and also supported repeal of the entire law, which could have stripped health care from millions of Wisconsinites, including the 2.4 million Wisconsin residents with a pre-existing condition. In Wisconsin, HRC has identified more than 560,000 million “Equality Voters” — voters who support LGBTQ-inclusive policies. HRC has prioritized investments and organizing in Wisconsin in the 2018 cycle, and has staff and resources on the ground in the state as part of the largest grassroots expansion in the organization’s 38-year history. 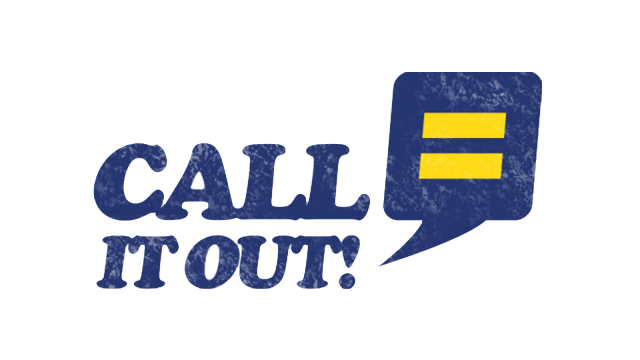 HRC announced its endorsement of a record 39 pro-equality candidates in the Arizona State Legislature. In the Arizona State Senate, HRC has endorsed Jo Craycraft for Senate District 1; Andrea Dalessandro for re-election to Senate District 2; Sally Ann Gonzales for re-election to Senate District 3; Lisa Otondo for re-election to Senate District 4; Wade Carlisle for Senate District 6; Jamescita Peshlakai for re-election to Senate District 7; Victoria Steele for Senate District 9; Steve Weichert for Senate District 17; Sean Bowie for re-election to Senate District 18; Lupe Contreras for re-election to Senate District 19; Douglas Ervin for Senate District 20; Daria Lohman for Senate District 23; Lela Alston for Senate District 24; Juan Mendez for re-election to Senate District 26; Rebecca Rios for Senate District 27; Martin Quezada for re-election Senate District 29; and Tony Navarrete for Senate District 30. 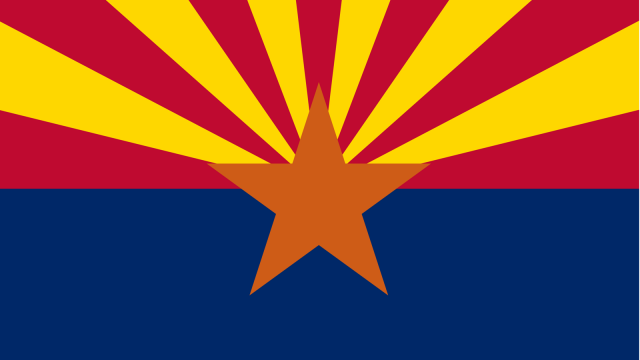 In the Arizona State House, HRC has endorsed Rosanna Gabaldon and Daniel Hernandez for re-election to House District 2; Andres Cano and Alma Hernandez for House District 3; Charlene Fernandez and Geraldine Peten for re-election to House District 4; Randall Friese and Pamela Powers Hannley for re-election to House District 9; Hollace Lyon for House District 11; Mitzi Epstein for re-election to House District 18; Jennifer Jermaine for House District 18; Diego Espinoza for re-election to House District 19; Hazel Chandler and Chris Gilfillan for House District 20; Athena Salman and Isela Blanc for re-election to House District 26; Reginald Bolding for re-election to House District 27; Kelli Butler for re-election to House District 28; Aaron Lieberman for House District 28; Cesar Chavez and Richard Andrade for re-election to House District 29; and Robert Meza for House District 30. Arizona is one of 30 states in the country that lacks explicit state-level protections for all LGBTQ people. Both chambers have so far failed to show the leadership needed to pass non-discrimination protections on the basis of sexual orientation and gender identity. Last year, four lawmakers — Rep. Daniel Hernandez, (D-Tucson), Rep. César Chávez (D-Phoenix), Rep. Otoniel “Tony” Navarrete (D-Phoenix), and Sen. Robert Meza (D-Phoenix) — created the state’s first-ever LGBTQ caucus at the State Capitol, vowing to harness the collective power of the LGBTQ community and work to move equality forward. In Arizona, HRC has identified more than 800,000 voters as likely “Equality Voters,” meaning they are strong supporters of progressive LGBTQ policies including marriage equality, equitable family law, and laws that prohibit discrimination on the basis of sexual orientation or gender identity. HRC has prioritized investments and organizing in Arizona in the 2018 cycle, and has staff and resources on the ground in the state as part of the largest grassroots expansion in the organization’s 38-year history. Paid for by Human Rights Campaign PAC (www.hrc.org). Not authorized by any candidate or candidate’s agent or committee. Anti-equality candidates Kevin Nicholson and Wisconsin State Senator Leah Vukmir, who has been endorsed by the state Republican party, are both seeking the GOP nomination to challenge Baldwin. Vukmir has consistently voted against pro-equality legislation and for anti-LGBTQ legislation, derailing efforts to add protections for LGBTQ students in a state anti-bullying bill and supporting a constitutional amendment banning marriage equality. Nicholson backed the Trump-Pence administration’s efforts to ban transgender people from serving in the military and has received significant funding and support from opponents of equality, including Uihlein. Today, HRC praised the Reading, Pennsylvania City Council for unanimously passing a measure to protect LGBTQ youth from “conversion therapy.” The ordinance prohibits licensed medical and mental health professionals from engaging in the dangerous and discredited practice upon minors within city limits. 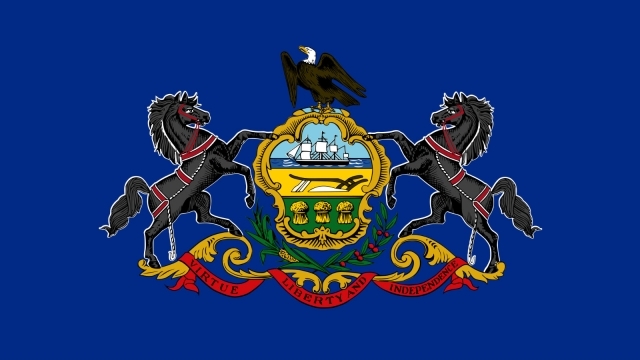 Reading is the fourth Pennsylvania city to pass such a measure following Allentown, Pittsburgh and Philadelphia. In addition to cities in Pennsylvania, a growing number of municipalities across the country, including cities in Ohio and Florida, have enacted similar crucial protections. Connecticut, California, Nevada, New Jersey, the District of Columbia, Oregon, Illinois, Vermont, New York, New Mexico and Rhode Island all have laws or regulations protecting youth from this abusive practice.